The 51 flag outlines of Asia according to the continental regions and sub-regions as defined by the United Nations. Prints 4 flags per page. Each flag card is approx. 3¾"x 5". Our printable Montessori materials are in PDF file format. Adobe Reader is required to open and print this pdf file (it's a free download at www.adobe.com). 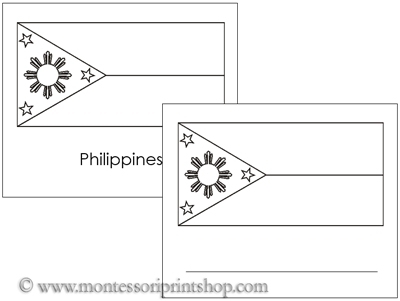 To get the most out of our printable Montessori materials be sure to visit www.montessoriprintshop.com for Montessori Theory and tutorials on how to prepare and use our printable Montessori materials. Don't forget to download our Free printable Montessori materials!